This post is by guest writer Anu Roy. One of 2016’s most highly anticipated adaptations, Cheese in the Trap is a 16 episode series based on the popular webtoon. The series follows a tempestuous relationship between the meek and shy Hong Seol (Kim Go Eun) with fourth year all-rounder and extremely popular yet mysterious Yoo Jung (Park Hae Jin). As they journey through the intense ups and downs of dating for twenty-year-olds amidst the chaotic life that college students face. Cheese in the Trap had so much potential. 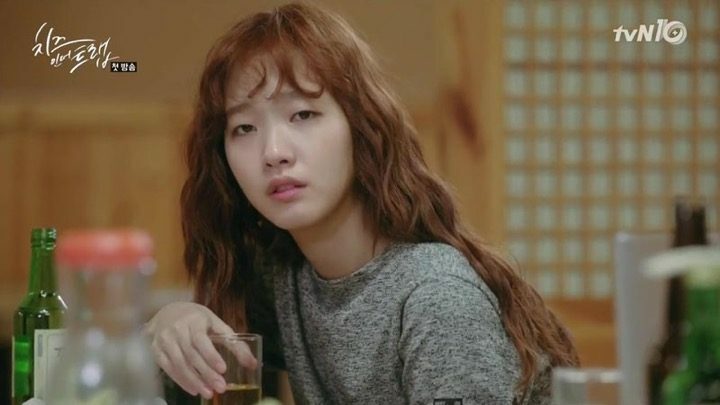 The first phrase that comes to mind when I’m reviewing this drama is — had so much potential — which is always a bittersweet feeling because I definitely enjoyed certain aspects of the show, yet I feel like it could have been so much better. 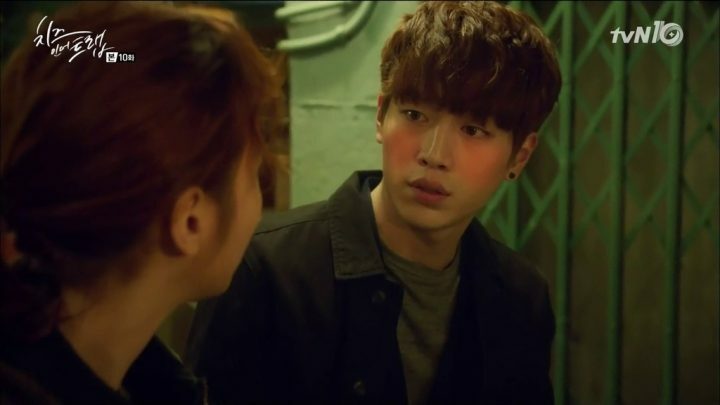 Cheese in the Trap has a compelling storyline and gifted actors, but it still felt like a show that “almost” got the formula right. The intro episodes of Cheese in the Trap quickly establish the cast of main characters through their behaviors and interactions. Hong Seol is timid, quiet, and afraid to openly express her thoughts. However, being quiet earns her the accolade of being secretly observant among her loud group of friends. 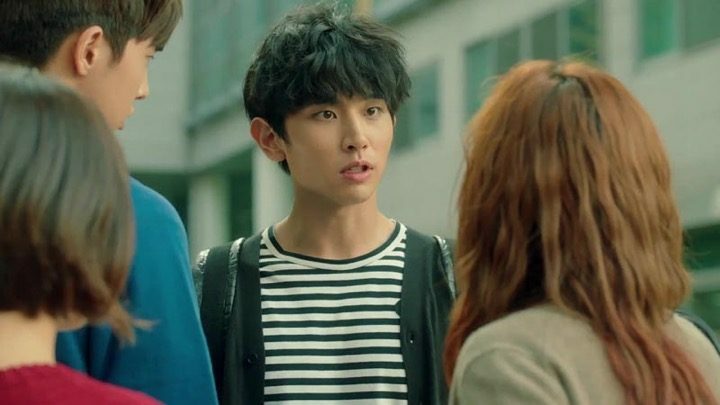 The series immediately begins with a tense scene, where Hong Seol notices a sinister smile across Yoo Jung’s lips as he spills water on a friend’s skirt. So she immediately treats him with suspicion and distrust, especially when he’s so admired and popular at their university. It’s also clear that Hong Seol always ends up in tricky, troublesome situations. In one instance, she gets dropped from a class she signed up for, and she suspects Yoo jung for pranking her. But she’s awkward with Yoo Jung as acquaintances so she cannot openly bring it up with him. 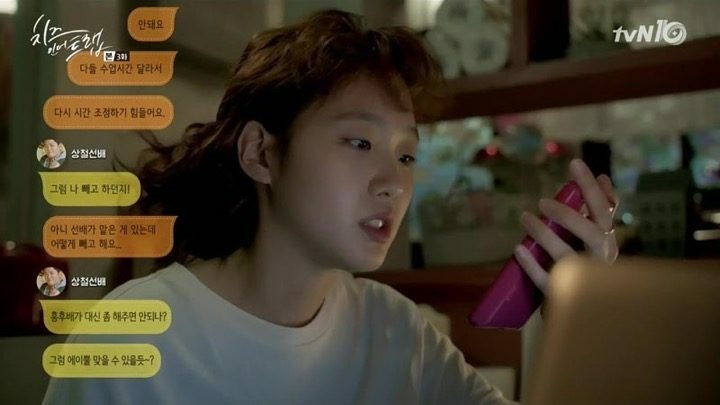 Next, we meet the Baek siblings — the blunt and thuggish Baek In Ho (Seo Kang Joon) and his larger-than-life, obnoxious, over dramatic sister Baek In Ha (Lee Sung Kyung). The Baek siblings have ties with Yoo Jung’s family, but have been cut off, so they must fend for themselves. The tension between them and Jung escalates when In Ho crosses paths with Seol and warns her against dating Jung, who is known to be cold and unresponsive while interacting with the Baek siblings. Slowly, there is positive progression for Hong Seol and Yoo Jung’s relationship. And because other girls are jealous of the attention Yoo Jung shows Seol, she’s always put in uncomfortable situations. 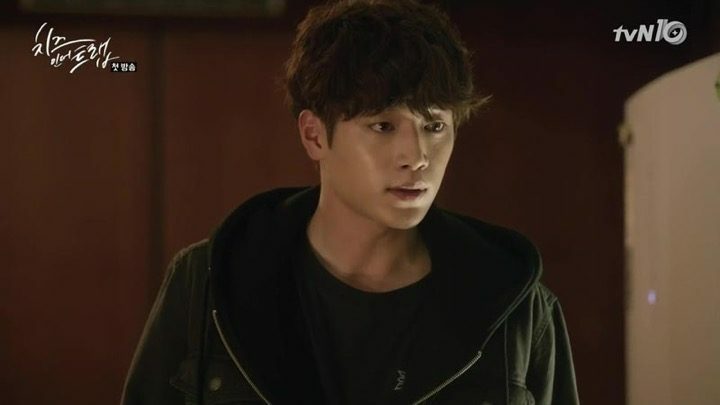 One night, one of the jealous classmates directs a drunkard towards the desolated building that Hong Seol is studying in, and the police arrive to see Hong Seol’s arm bleeding from the wound left by the drunkard waving his bottle around. However, Yoo Jung is always trying to help Seol get out of these problems and goes out of his way to protect her. As Seol notices him trying to get closer, she eventually gives in and accepts his offer to spend time together. However, the flirtatious unpredictability of her time spent with Yoo jung will have to wait as Seol continuously has problems of her own. She’s always doing other people favors — be it her mother’s plea to move four hours away from her apartment to reduce household costs or forsaking sleep to finish a presentation that no one else in her group is motivated to do. I particularly enjoyed Hong Seol’s self-narrations; they provide the viewer with insights into her mind and her personality. She’s constantly stressed from the slack she cuts everyone else, and she does so partly out of benevolence and partly because she’s not assertive. Soon, we also see the triangle between In Ho, Seol, and Jung begins to emerge. As In Ho moves into Seol’s neighborhood and spend more time together, they develop an open, honest friendship that is refreshing to watch compared to the intense, unpredictable relationship she shares with Jung, despite the fact that they start dating. The first few episodes definitely pack in a lot of interactions between the various characters, but its true merit lies within its focus on the lead pair, Seol and Jung. I really enjoyed how Cheese in the Trap juxtaposes the moments they spend together, where Jung is polite, soft-spoken and gentle, against the moments he deals with others in a cold, emotionless way. 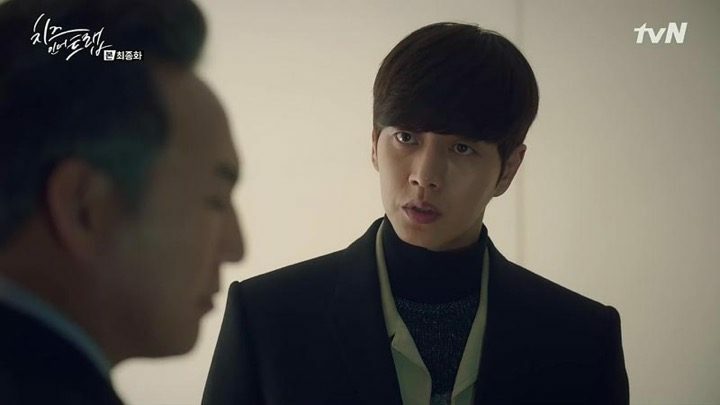 It makes Jung a complicated but intriguing lead with an unanswered question of which is the real him. 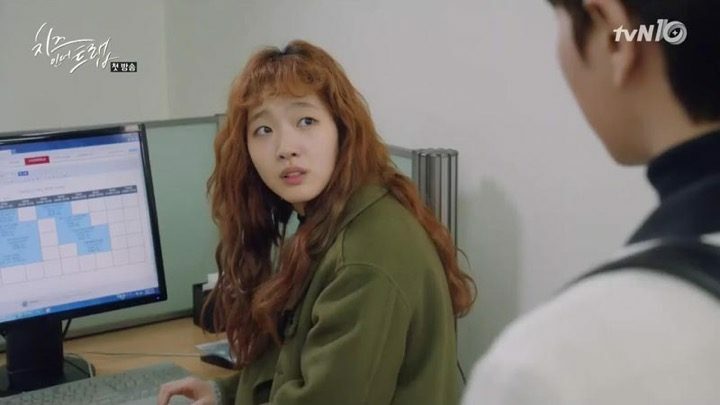 These episodes of Cheese in the Trap dig deeper into the character transformations and the complications of Seol and Jung’s relationship despite the obvious chemistry they share. Seol is constantly caught between feeling affectionate towards Jung for helping her and caring for her, and feeling upset when she uncovers something unpleasant about him. Jung justifies blackmailing and manipulating various people to assist and protect Seol, but she’s too righteous to take it at face value. Meanwhile, the love triangle also grows increasingly complex as we learn the reasons behind In Ho and Jung’s fall out. In Ho is also one of the few people to dares to openly stand up to Jung. Furthermore, In Ho and Seol’s fun, laid back friendship is taxed because Jung disapproves of it. The downside to fleshing out other characters is that we lose sight of where Seol and Jung are headed. Another thing I admire from the drama is the development of side characters. Seol has a wide variety of interesting classmates. Sang Chul is the overbearing senior who free rides and slacks whenever he can and always moans about his misfortunes. 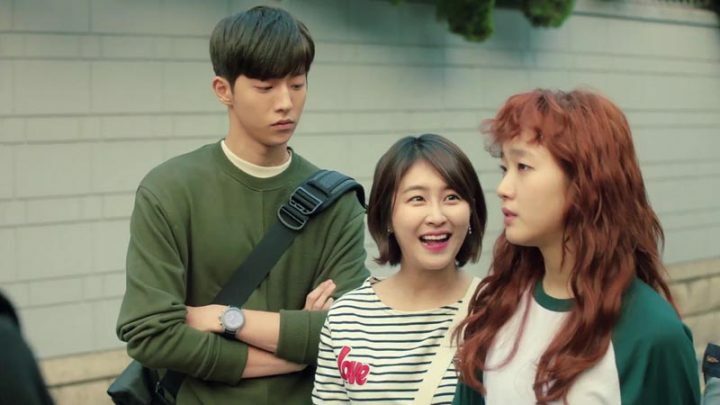 Seol’s best friends are Bo Ra and Eun Taek (Nam Joo Hyuk) who have the making of a couple and offer lighthearted moments of comedy when the series gets too tense from the complications in Seol’s life. Seol’s brother Jun and his girlfriend Ah Young are a good example of an easy going young couple in contrast to Seol and Jung. However, the downside is that when the other character get their storylines fleshed out, we lose sight of where Seol and Jung are headed. Their progress seems especially slow for two people who are so intensely attached to each other. Although there is a very cute scene where Jung sleeps over at Seol’s to keep her safe from a rumored neighborhood thief. The whole scene is childlike, innocent, and sweet so I wish their bond was given more time to get heightened. Then, an interesting case of Seol’s stalker emerges which is a plot line I quite liked following. A fellow classmate who’s convinced that Seol likes him stalks her incessantly. The stalker also manipulates the situation to convince Seol that Jung is cheating on her based on an old picture of Jung and In Ha. The important thing is that through this sequence, we see a significant change in Seol’s character — she becomes more assertive. Seol openly challenges people and expresses her frustrations more often, which makes her a stronger and more likable protagonist. Likewise, we see a change in In Ho and witness his journey from a part-time worker slaving away at a restaurant to an aspirational piano player again. It’s been easy to empathize with the tough life experiences In Ho has suffered such as domestic abuse, living in poverty, and losing his gifted hand. 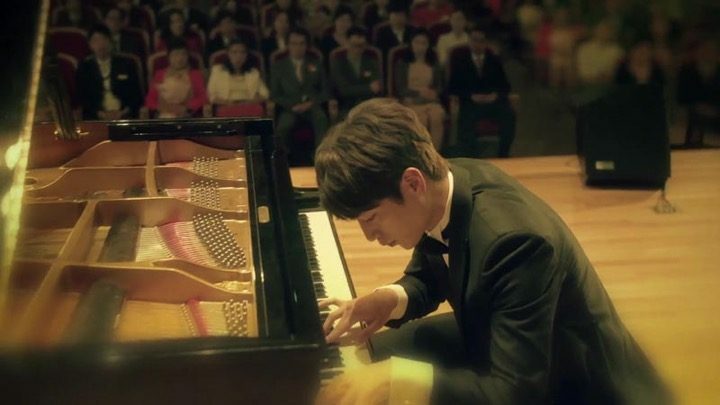 So when In Ho gathers the strength and faith to work hard at mastering his piano skills, I couldn’t help but cheer for him and hope he achieves his dreams. In Ho is the opposite of Jung because he’s direct, open, expressive to the point of being a little cheeky. He’s also moral with quite a bit of chivalry, as can be seen from the way he always rushes to help Seol no matter how much he gets into trouble for it later. At this point, I can see why some viewers would prefer to ship Seol and In Ho together. Our main couple also grow closer and share their first intimate conversation and subsequent kiss. Jung finally opens up to Seol, confessing that he’s cold and calculative around people because as a rich, handsome company heir he has always been taken advantage of throughout his life. He’s attracted to Seol because she’s different. This makes me even more of a Seol fan. Not only is she genuine, but after seeing how affluent and popular her boyfriend is, she still objectively values him for his personality and never takes advantage of him. In fact, she heavily criticizes him for providing her aid that she has not directly earned. It’s admirable that she is able to be so fair and level-headed when there is still a childish, teenage side to her that swoons when Jung kisses her or holds her closely. 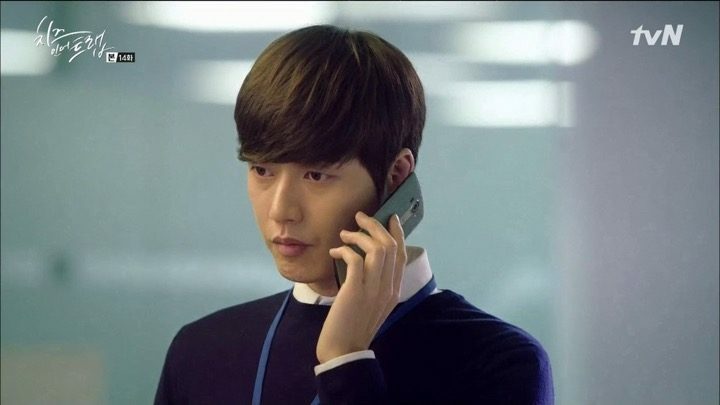 Although Cheese in the Trap starts to lag a little, and the whole cycle of Seol getting into trouble and resolving it has become predictable and boring, I start to really admire Park Hae Jin’s acting here. 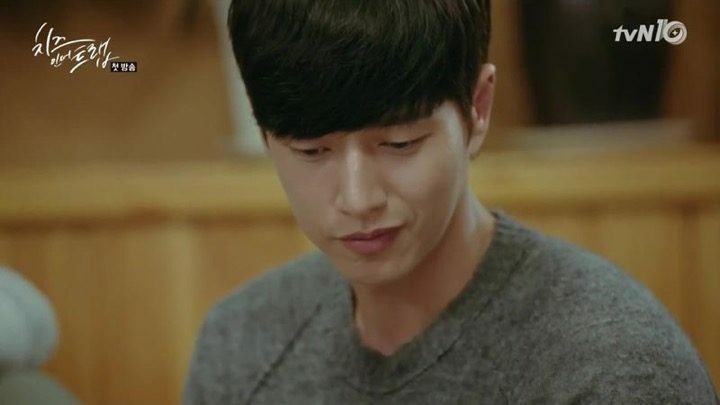 I don’t know what the webtoon version of Jung was like, but for the drama, Park Hae Jin balances Jung’s sensitivity alongside his secrecy and dark moments perfectly. He can be sinister, yet vulnerable and damaged at the same time. 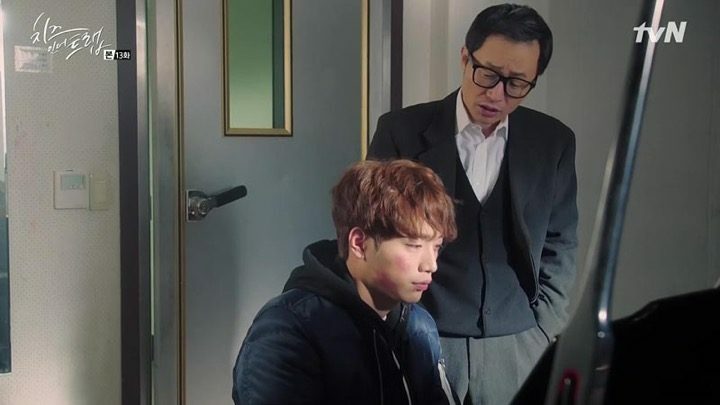 If the previous episodes of Cheese in the Trap focused more on Seol and Jung, these episodes give us a lot of insight into secondary character’s lives and inner thoughts. Through a combination of flashbacks and individual shots, we realize that under In Ho’s tough, extroverted personality is a guy who has been wronged and put through so much that he’s genuinely struggling to believe in himself again. In Ho is still trying to find his place out in the world, something that most twenty-year-olds can relate to. In Ha on the other hand, is definitely the loudest character in the series in terms of expression, but I feel that the drama let her down because she became very one-dimensional. She’s your typical rich, spoiled shopaholic with an uptight and demanding attitude. It definitely makes her an annoying character in that she feels so entitled to a privileged life, especially when contrasted with Seol, who juggles schoolwork and multiple jobs just to make ends meet. That being said, In Ha is still a valuable character as she provides comic relief and a fresh change of mood from the intensity of Seol and Jong’s relationship and Seol’s struggles in life. We also get a deeper look into Seol’s family, which helps us understand why she’s so attached to the help and encouragement that Jung gives her. Seol has never had validation from her family, who clearly gives more attention and time to her younger brother and simply expects Seol to shoulder more responsibilities. 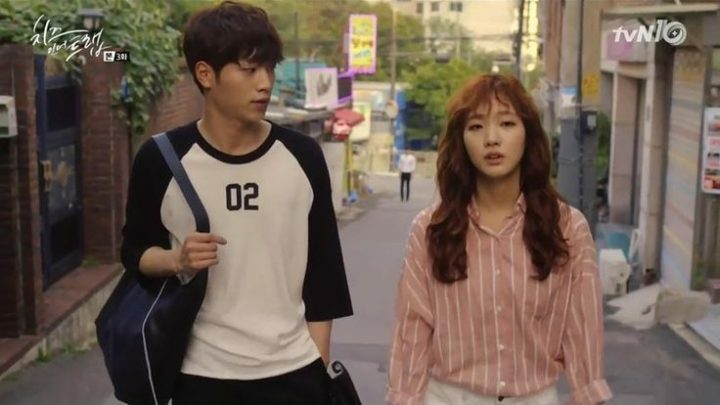 The last few episodes of Cheese in the Trap definitely felt stagnant and boring to watch, because they were filled with unnecessary escalation of tension and problematic events, when I would have appreciated more conversation and interaction of meaningful substance between the main characters. I think the drama wanted to go out with a bang, but the it simply felt dramatic for the sake of being dramatic. It was inconsistent with how steadily paced the entire series has been so far, and seemed misplaced in what’s supposed to be a lighthearted rom-com. The last few episodes felt stagnant and boring as they were filled with unnecessary escalation of tension. It seems that Jung simply cannot change his ways as he’s still revisiting the menacing side of his personality and goes out of his way to manipulate and corner people who he perceives as inconveniences to him. All of this makes me feel conflicted about his character as a viewer. Even if his ultimate intentions are good, he still has a rather calculative and unfeeling way of dealing with people. He cannot feel the empathy and sense of justice that Seol finds so naturally. I suppose in a way, they are polar opposites yet also alike in that they’re different from everyone else. They have both been outcasts within their surroundings for so long, that they found a connection and learned to depend on each other. And so, I still end up hoping they work things out and stay together. I definitely think one of the downfalls of the series lies in its poor episode planning. Through an elaborate flashback sequence, we get to see why Jung has become the way he is at the very end of the drama. He puts his guard up and protects himself because he’s cynical and distrustful of others due to the way he’s been mistreated and taken advantage of in the past. We also see how Jung and the Baek siblings grew apart, and why he’s so cold and unresponsive towards them even though they’re still clearly hurt and want him back in their lives. All of these scenes should have been shown much earlier to give the viewer more insight into Jung’s life and his mind. It’s especially important because Jung is a man of few words and rarely expresses how he feels. The flashbacks could have been the perfect way to make him a more relatable character, but sadly, it’s too little too late at this point. 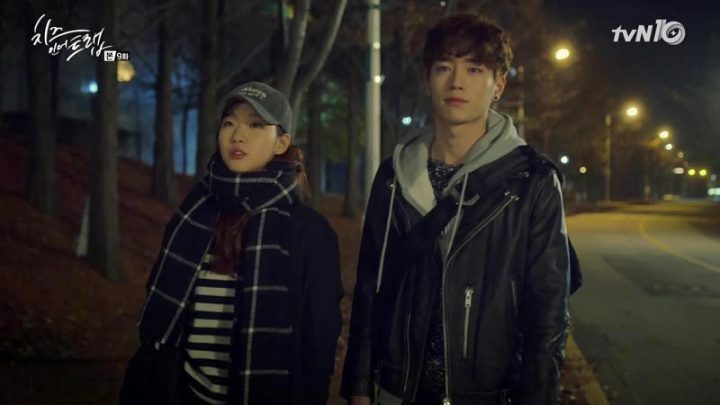 However, one of the best moments of the last few episodes is the union of Bo Ra and Eun Taek, a couple I have shipped since the very first episode. Compared to the tense, tumultuous bond that Seol and Jung share, Bo Ra and Eun Taek have the kind of relationship that easily transitions from a solid friendship to a heartfelt love. This is a great alternative relationship for the viewers to feel inspired and happy about. Despite the subpar execution at the end, Cheese in the Trap is far from being a failure overall. It has some very entertaining characters and couples that you’d want to ship. 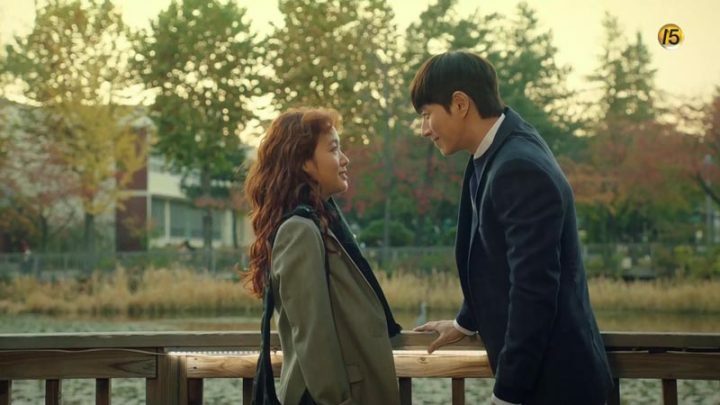 It would have been even better if there was more emphasis on the lead couple, rather than exploring so many subplots that made it hard to keep track of the drama’s main focus. Nonetheless, Cheese In the Trap is still a commendable watch, if nothing else, for the stellar acting performances. This year new PD are making a movie in it. Hope all works well.